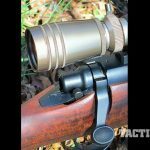 The M40-66 has crossover appeal with military nostalgia buffs, long-range precision shooters and those who appreciate old school walnut and steel. 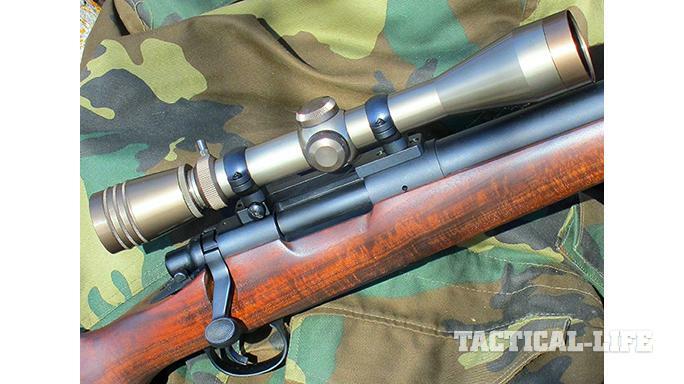 The M40 Rifle Company gives the classic Marine Corps sniper rifle a custom overhaul. Like the Marine Corps’ original M40 rifles, the M40-66 is built on the Remington Model 700 platform. Note the familiar Remington knurled bolt knob and two-position safety. 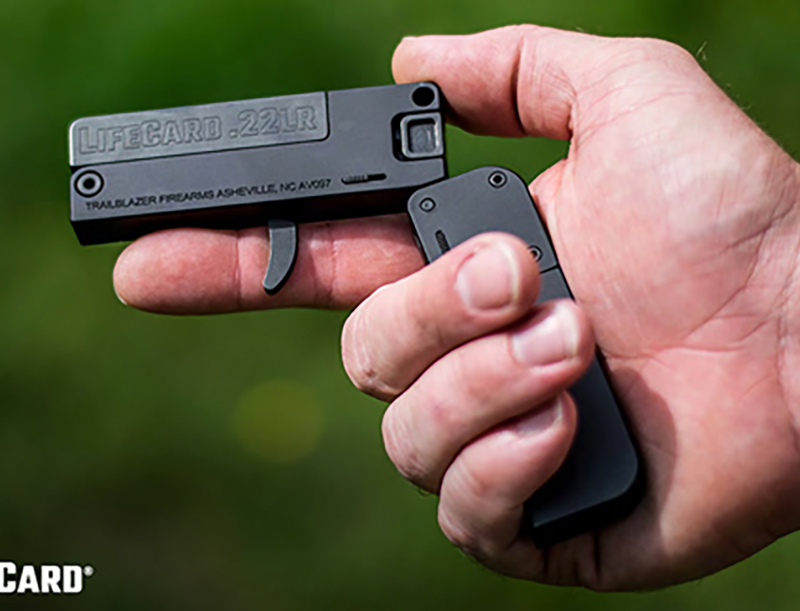 The wide, single-stage Shilen trigger, serrated for non-slip contact, offers an extremely crisp break between 2.5 and 3.5 pounds with no take-up or overtravel. 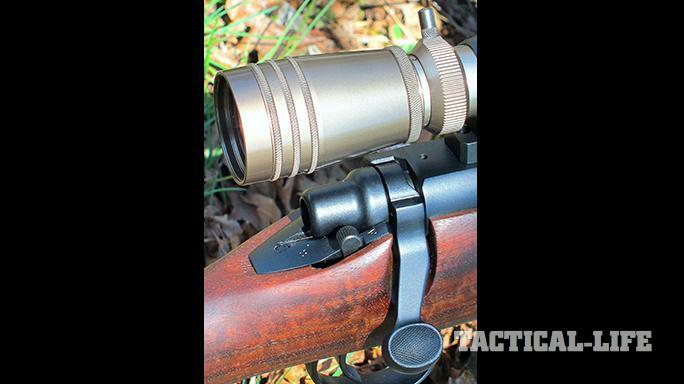 The author’s M40-66 came with a limited-edition, Redfield USMC M40 Commemorative scope that mimics the original scope used on M40 rifles in Vietnam. The M40-66’s heavy, stainless steel, match-grade Krieger barrel features a carefully recessed target-style crown for enhanced accuracy. 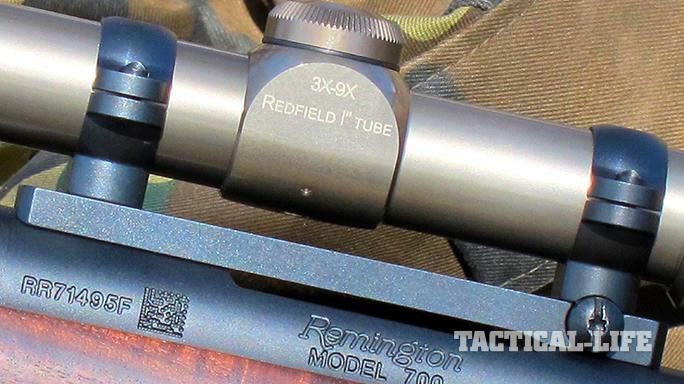 The dual-lugged Remington bolt, with its internal extractor and plunger ejector, is hand-fitted to the blueprinted action. The original M40’s walnut stock is replicated line for line here, with a Monte Carlo comb and cheekpiece and higher-grade wood. The core of the M40A5 is Remington’s time-proven Model 700 push-feed action, and each rifle is built by USMC armorers at Quantico using high-quality components from carefully selected vendors to support the Corps’ long-range mission where applicable. The evolution of the Marines’ sniper rifle has been interesting and ongoing. 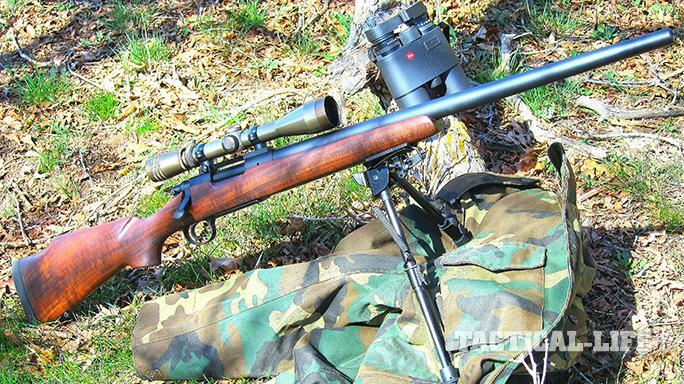 The original M40 was a factory-built rifle with a one-piece wood stock and a 3×9 Redfield Accu-Range scope. Stock warpage in jungle environments reared its ugly head often enough during the Vietnam years to bring about more stable McMillan fiberglass replacements on the M40A1, along with a switch to fixed 10x Unertl glass. The M40A3 also used a McMillan stock, with a Schmidt & Bender M8541 3×12 optic as a day scope and a Simrad KN200 night scope. The M40A5’s main advancement was a threaded muzzle for use with either a muzzle brake or a suppressor. All variants have been in .308 Winchester/7.62mm NATO, and the program is still in development, with further modifications under a contract awarded to Remington for an upgraded rifle due to be placed in service in 2017. The M40 Rifle Company is a sister organization to the Tactical Rifles outfit first formed in 2002 to produce long-range bolt-action rifles. The company may be relatively new in title, but its people are old in experience, and it offers two thoroughly modern high-grade iterations of the M40 for those who want or need performance and quality levels that stand above the crowd, and they come with price tags that reflect those levels. You’ll never see one of the company’s products in the racks at Wal-Mart. 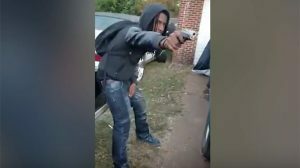 Nor are these rifles produced in the “crank ’em out and get ’em out” sense. 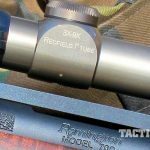 These rifles are built one at a time with full attention to detail that shows in the end product, and what it’s expected to do for the end-user. Of the two models offered, the M40-A1 and the M40-66 rifle, the wood-stocked ’66 you’re looking at here came about as the result of an internal bet about whether or not it was possible to pull off the same sub-0.5-MOA accuracy with wood as it was with the synthetic- stocked A1. The result of that bet is a good-looking, three-way marriage between old-school styling, premium materials and hands-on craftsmanship. The M40-66 rifle is more of a nod to nostalgia in overall configuration and title than any attempt to reproduce a line-by-line original M40. It offers the look of the older M40, but with far superior construction and performance by using modern upgrades. 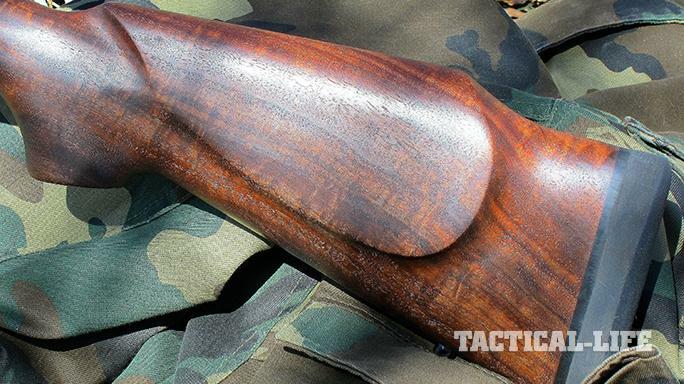 It begins with a walnut Monte Carlo-style stock with a left-side cheekrest patterned directly from the original issued stock. Instead of the reputed military dip-and-ship finish of the 1960s, though, the wood gets a better grade of oil, and four coats of it. After each coat, the surface is sanded down with progressively finer grits of paper, leaving a dark, nicely grained, non-varnished finish. 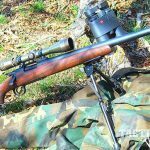 The company said it could take a cheaper route and use a wood filler, but it wants this rifle to show as strong as it shoots, and develop its own stock character with age. Considering how much more personality well-used wood exhibits than well-used fiberglass, the stock is one of this rifle’s best features for me. A solid, no-vent Pachmayr Decelerator pad teams with the rifle’s overall weight and the relatively tame .308 caliber to make the configuration very comfortable off a bench or bipod. The core of the M40-66 rifle is the same dependable Remington 700 short action with a two-position safety, here fully blueprinted to eliminate any minor alignment issues with the barrel and to guarantee smooth reliability. 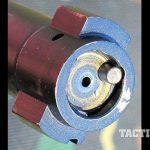 The lugs, bolt face, receiver face and so on are all perfectly perpendicular to the bore’s centerline for the bullet to engage the rifling squarely, which doesn’t happen in a production gun because such handwork detailing can’t hold production-level pricing. On a truly premium rifle like this, no CNC machine can substitute for the talented hands of a human craftsman in turning out such precise workmanship. 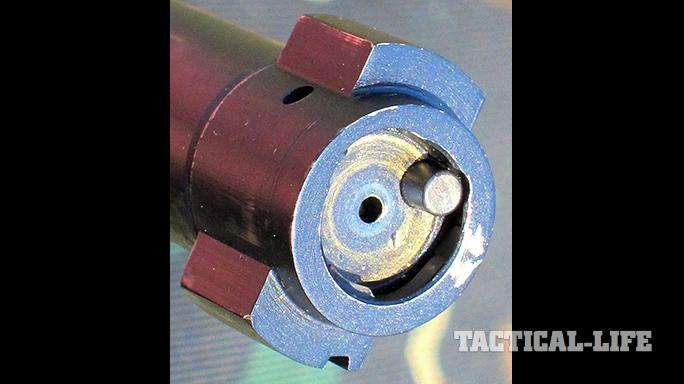 Stability in the relationship between stock and steel is critical in maintaining both zero and repeatable accuracy, and the M40 Rifle Company “cheats like crazy,” as they put it, to get that stability in a wood stock. 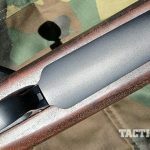 The rifle is pillar-bedded, the barrel channel is full-length bedded, and the receiver and bottom metal are fully bedded. For additional strength, the bottom metal is also an upgraded heavyweight stainless component. This rifle should likely shrug off extremes in humidity and temperatures at least as well as the shooter. Any rifleman worth their salt knows the value a superior trigger adds to both a rifle and shooting results. Here the company uses a match-grade, single-stage Shilen trigger unit set at the factory to break between 2.5 and 3.5 pounds. Our test sample broke very cleanly at 3.5 pounds with absolutely no nonsense in take-up or overtravel. 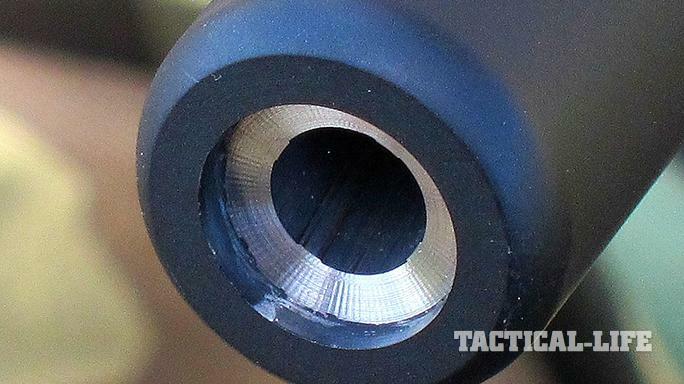 You can install the best barrel and scope in the world, but if the trigger can’t keep up, you’re only jogging—not racing. No problem here. Speaking of the barrel, it’s a heavy, tapered, stainless steel, benchrest-quality, 24-inch Krieger unit with a 1-in-10-inch twist rate, a hand-lapped bore, a hand-reamed chamber, a bead-blasted finish and a dark moly-based epoxy coating to simulate the appearance of the Parkerized chrome-moly barrels of the M40. This, again, is not to strictly replicate the original but to retain its spirit. 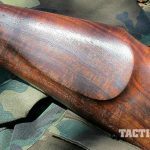 A note on cleaning in passing: The M40 Rifle Company is dedicated to setting up these guns for maximum performance, and the bore needs to be understood. The gods of Sniper Valhalla will frown mightily upon you if you ever run a stainless brush through this barrel, and you’ll destroy a good part of that hand-lapped accuracy at the very least. The company doesn’t recommend any metallic brushes at all, since the bore is literally polished mirror bright, and metallic brushes tend to scratch it. The company’s top suggestions for cleaning include a bore guide for the rod to keep the crown square, cloth patches and Wipe-Out Brushless Foaming Bore Cleaner, and if you’re investing in a high-performance product with a high-performance price tag like this, it pays to listen to the maker’s advice. In what I thought was a neat touch, our test sample had one of the limited-edition Redfield USMC M40 Commemorative scopes already mounted via a solid-steel, one-piece Badger reproduction base and rings. These scopes are part of a 1,000-unit run for Redfield that isn’t cataloged on its website. 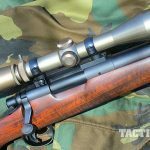 Few of the Vietnam-era Redfield Accu-Range scopes with a range-finding ladder survived, and those that did frankly wouldn’t impress many shooters used to true sniper-grade glass today. However, except for the substitution of a mil-dot reticle and a couple other modern upgrades, this reproduction is well done and a great choice for trying to stick with the overall M40 presentation. The Commemorative is a 3-9x40mm, light-green anodized scope with the same windage and elevation turret adjustments as the modern Leupold VX-1 and VX-2 lines, and it follows the same concept as the rifle in theme, but it comes with better-quality lenses that are sealed better as well as a full Redfield warranty. The M40 Rifle Company does not sell this scope or offer it as part of a package; it was included with the test sample as a ready-to-go package. 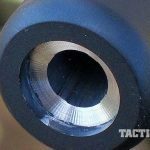 And while it did its job in that context, the company does its own testing with much higher-powered glass, which it recommends to reach the rifle’s true potential of 0.5-MOA accuracy. The company can, if you ask with a well-warmed-up credit card in hand, set you up with a current-production Hi-Lux copy of the original Redfield optic, ship your rifle with a Picatinny rail, ship it with no base/mount, or ship a package with repro glass, a repro mount and a quality repro sling as a package. The base rifle in standard walnut, in case you might be wondering by now, is $3,695, and select walnut adds another $400. Optics and mounts would obviously run those figures higher up the flagpole; it’s your choice if you want the company to set up the rifle for you or choose your own Remington mounts and favorite scope. So, how did that internal company bet go? 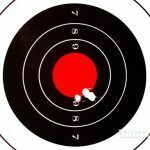 When I took the M40-66 rifle to the 100-yard range on a 50-degree spring day and fired four match loads into a 5.5-inch black bullseye through quartering 5- to 9-mph headwinds, I couldn’t quite manage to pull it off. My ammo included 165- and 168-grain Match A-MAX loads from Black Hills, a 168-grain Sierra MatchKing (SMK) load from Winchester and the same 168-grain SMK bullet in a Remington Premier Match loading. 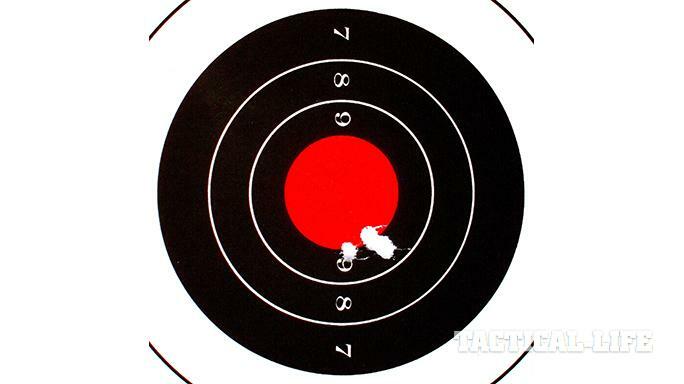 The closest I could come was a pair of three-shot groups at 0.56 inches with the Black Hills 168-grainer, followed in the very near vicinity by the Remington 168-grain load at 0.62 inches. The company rep was quite tactful in discussions about my results, saying they’ve hit sub-0.5 MOA with Federal Gold Medal Match rounds (which I was out of) and a 25x scope (which I did not have), and kindly allowing that my abilities were probably somewhat hampered by the lower- powered Redfield glass, I didn’t feel too bad about how the rifle did for me. The company felt the bet about excellent accuracy in a wood stock was won, and considering that the Marine Corps’ original requirement in 1966 was 2 MOA, even my groups—still under an inch—were far better than the M40 was capable of way back when. 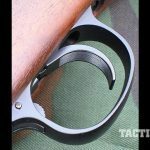 The bolt’s lift is stiff enough to resist inadvertent unlocking in rough handling, the action was very smooth with no binding at all, and many pros consider the two-position Remington safety a plus in being able to load or unload the gun with the safety on and the bolt unlocked. 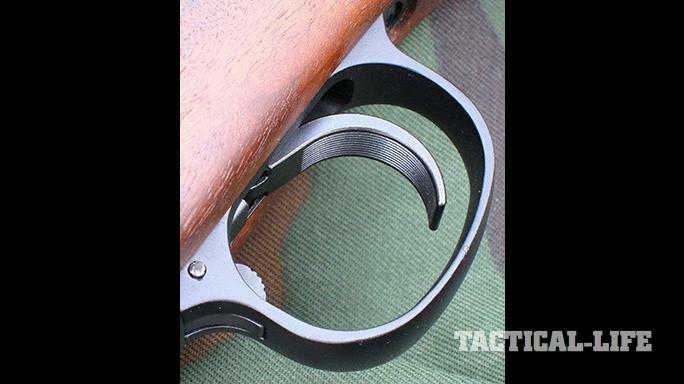 The trigger can easily spoil your tactical finger for lesser rifles, and this gun is just a pure pleasure to run. 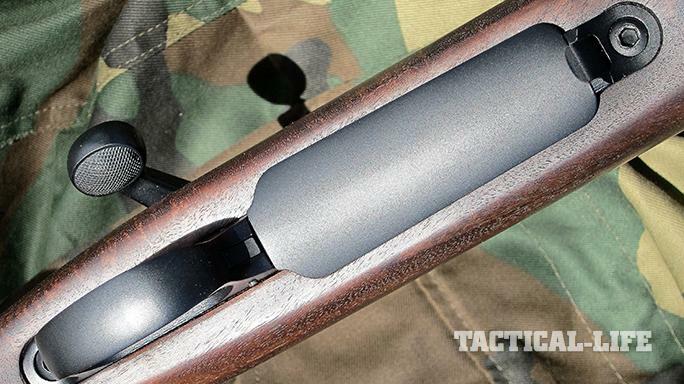 This rifle should have more than its share of crossover appeal with military nostalgia buffs, long-range precision shooters and those who appreciate old-school walnut and steel. Possibly even a hunter or two, if the 9-pound weight doesn’t slow you down too much. 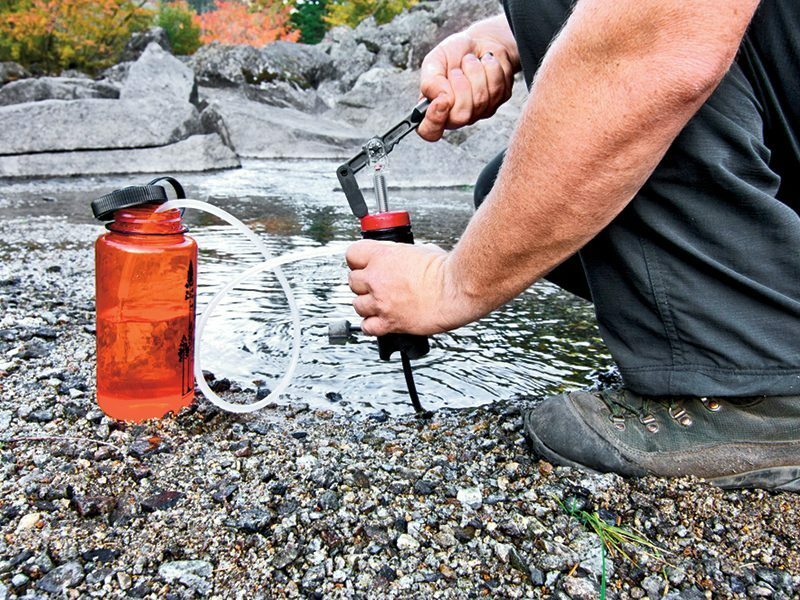 If you’re in the market for what it can give you, and the sticker shock doesn’t risk a divorce, it’s money well spent. The M40-66 rifle aggressively bucks the trend of injection-molded entry-level rifles at budget prices, which is refreshing, and I’m confident that you’ll like it. I certainly did. For more information, visit http://m40-66.com or call 844-996-4066. This article was published in ‘The Complete Book of Guns’ 2017. For information on how to subscribe, please email subscriptions@outdoorgroupmags.com or call 1-800-284-5668.